The past two weeks were good to a number of U.S. racers. Ellen Noble (Trek Factory Racing CX) finished second at World Cup Waterloo and Kaitie Keough (Cannondale p/b CyclocrossWorld) won Saturday’s Jingle Cross World Cup. The two races, however, were not kind to a number of athletes who were struck by illness and bad luck. Readers have probably been wondering about some of the names missing from the results sheets, so for today’s Rumors and Rumblings, we have health and injury updates for Stephen Hyde, Courtenay McFadden, Jeremy Powers, Spencer Petrov and Drew Dillman. Stephen Hyde (Cannondale p/b CyclocrossWorld) had a fast start at last Sunday’s World Cup Waterloo, but he was taken out early in the first lap when another rider crashed on a fast off-camber. Last week, we reported that he would miss the Jingle Cross World Cup. Earlier this week, Hyde got an official prognosis. He broke his sternum in the crash and will miss 4-6 weeks of racing while it heals. Hyde’s timeline likely means he will be out until after the Pan-American Championships—a race he has won the last two years. 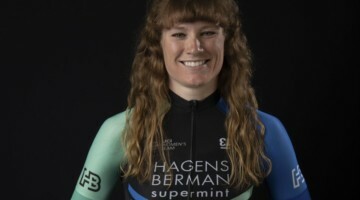 While establishing herself as one of the top riders in the U.S., Courtenay McFadden (Pivot Cycles/Maxxis p/b Stan’s/DNA Cycling) has quietly suffered through hip pain. After Worlds in 2017, she had surgery on one of her hips (Hip 2.0). After the 2018 Worlds in Valkenburg, she had surgery on her other hip (Hip 2.0 2.0). 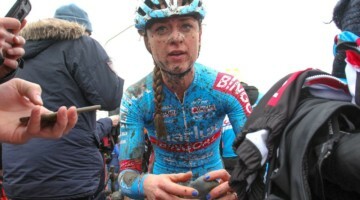 McFadden crashed before RenoCross while training and re-injured her hip. 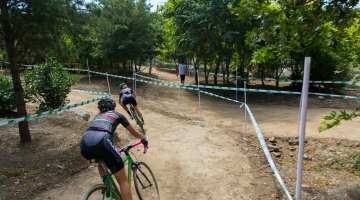 She raced at World Cup Waterloo but skipped the Jingle Cross World Cup due to the pain and a loss of confidence. McFadden wrote about her recent injury on her blog (it’s worth reading). In her post, she said that she will be taking a break for a while before returning to race. 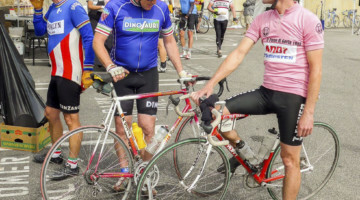 Another name missing the past two weeks was that of Jeremy Powers (Pactimo Fuji SRAM). Powers raced well in Rochester, including a second-place finish on Sunday, but then got ill right before RenoCross. Via Instagram, Powers announced that he contracted retropharyngeal cellulitis, which is a bacterial infection, in his mouth. After missing RenoCross and the two U.S. World Cups, Powers said he is 50/50 to race this weekend at Charm City. Spencer Petrov (Cannondale p/b CyclocrossWorld) also missed both World Cup races. Petrov suffered a concussion in a crash on Day 1 of Rochester. Petrov was with his new team during the Waterloo weekend but was back at home during Jingle Cross. As of now, he is not expected to race this weekend, and given the danger of head injuries, his return to racing is uncertain right now. During Friday’s Trek CX Cup C2, Drew Dillman (SDG-Muscle Monster) had a monster ride, finishing just outside a field loaded with Euros. On Sunday, Dillman was running well until he ran into a metal post, breaking his hand. Dillman is now resigned to the trainer for the next two weeks and then hopefully a quick return to the bike. This is my life for the next 2 weeks. Tried to convince the Doc that I’m ready for this cast to come off today but he said 2 more weeks. Luckily I have the support of my @feedbacksports stand. And my lovely wife @cejay_dillman ! We wish all the cyclocrossers facing injury and illness a speedy recovery. Hopefully we will see everyone back to full health on the cyclocross course soon.